Cinco de Mayo is just around the corner! The big question is, are you ready for it? I love celebrating this day every year and always put together a Mexican fiesta for my family, complete with colorful decorations and way too much food. 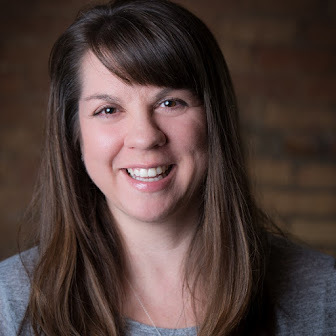 This year I'm enlisting the help of Delimex to help me with an authentic and delicious meal! I've got my lineup all planned out. 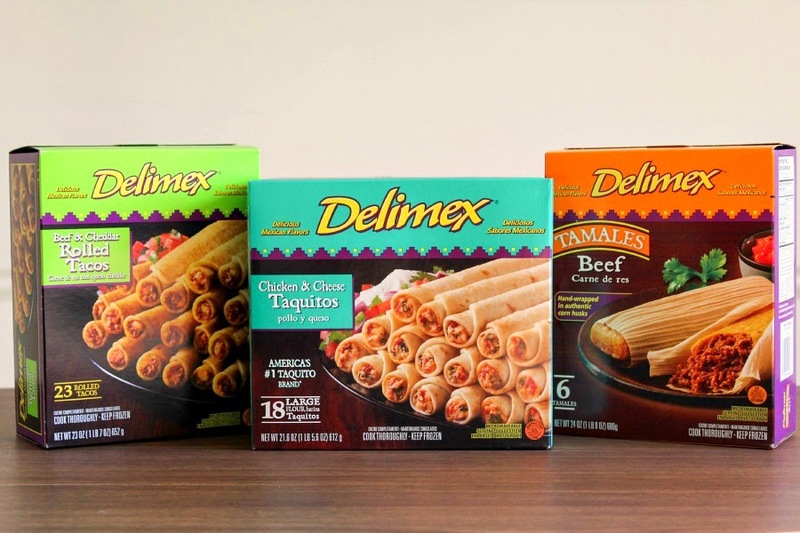 I stopped by Walmart the other day and picked up three of my favorite Delimex products - Beef & Cheddar Rolled Tacos, Chicken & Cheese Taquitos, and Beef Tamales. I'm getting hungry just talking about them! I decided to create three simple (but totally addicting!) dips to go along with our dishes. 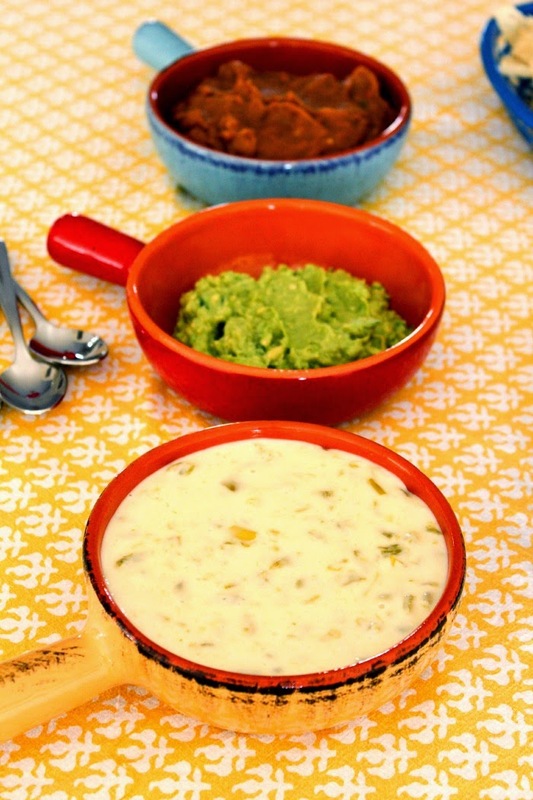 I've got a warm bean dip, spicy guacamole, and queso blanco (white cheese) dip. There is something for everyone! I love the entire trio, but my favorite is probably the queso blanco. Honestly, I'm addicted to cheese so it's no surprise that it's my favorite! 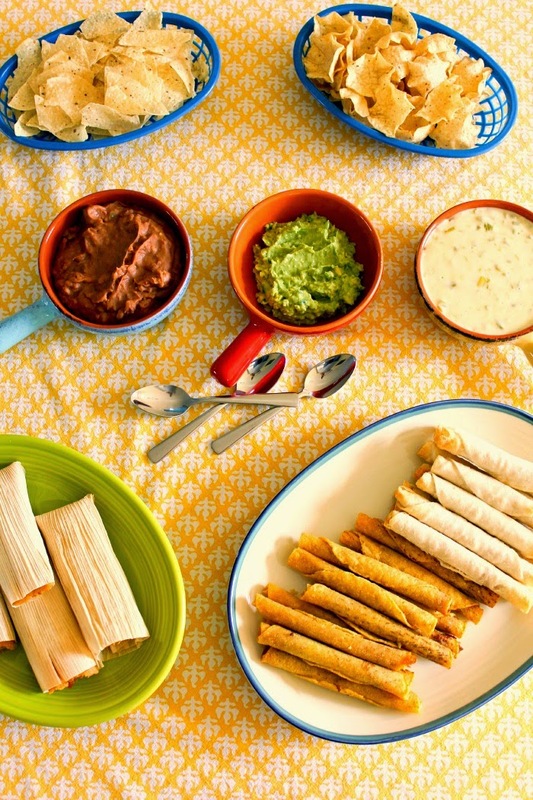 Place the taquitos, tacos and tamales on platters with the trio of dips close by. Be sure to have tortilla chips on the table too, because these dips are perfect for chip dipping! 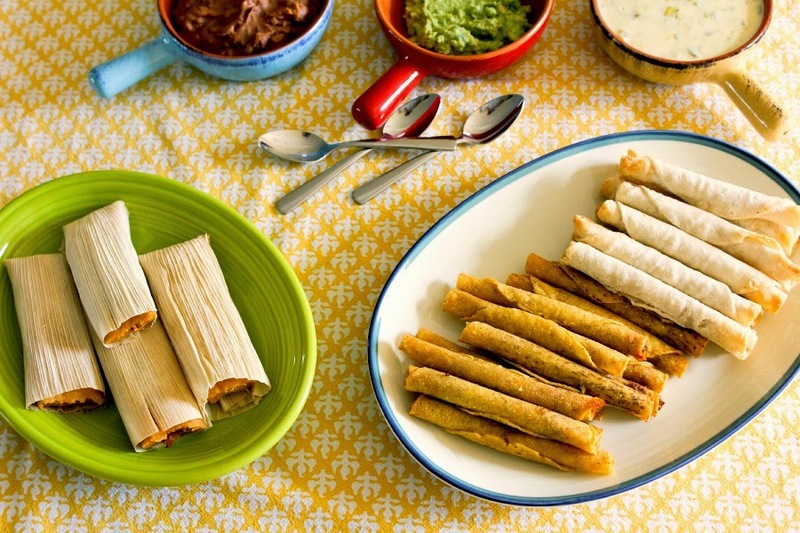 Round out the spread with some sour cream and salsa, and you've got a perfect Cindo de Mayo fiesta that your family and friends are sure to love. 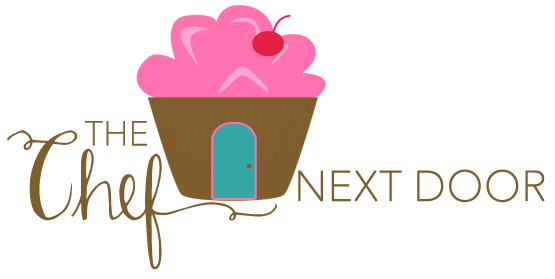 Be sure to check out Delimexfiesta.com for their full line of products as well as recipe ideas! Now, let's get down to business with these dips! Using a fork, mash the avocado with the lime juice in a small bowl. Add the rest of the ingredients and mix well to combine. Cut the Velveeta into cubes. Add all of the ingredients to a medium saucepan and melt over low heat, stirring often, until completely melted. Serve immediately. Add all of the ingredients to a small saucepan and stir well to combine. Cook over low heat until the dip is warm. 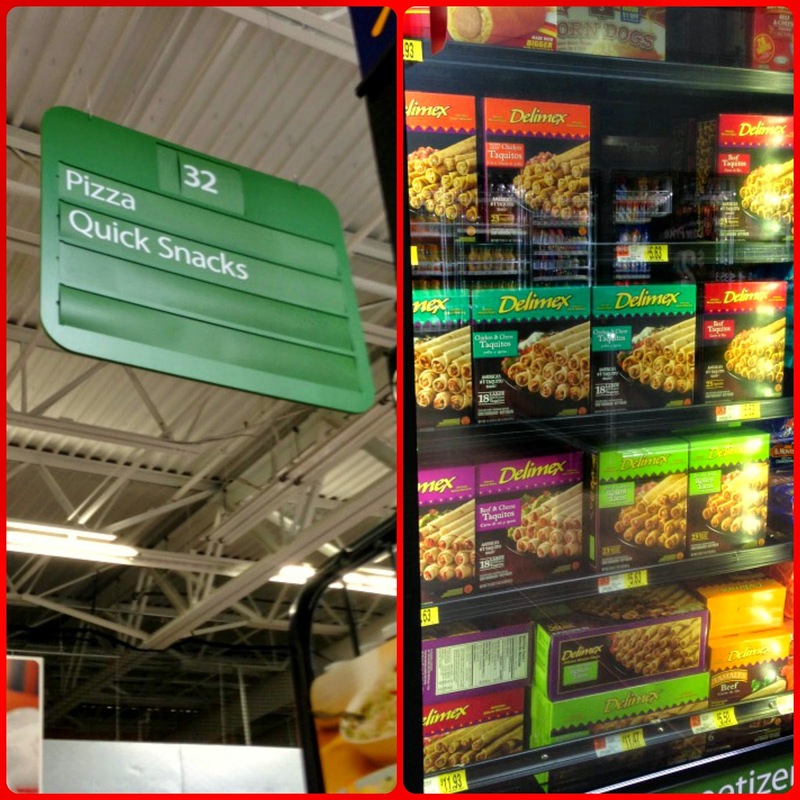 Be sure to stop by Walmart and pick up your favorite Delimex dishes! You can find them in the Quick Snacks and Pizza aisle.